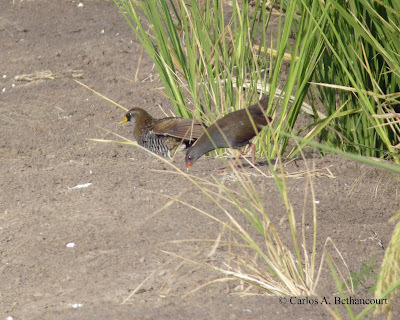 Rosabel Miró sent in two additional photos of the Paint-billed Crakes seen yesterday morning at Tocumen. 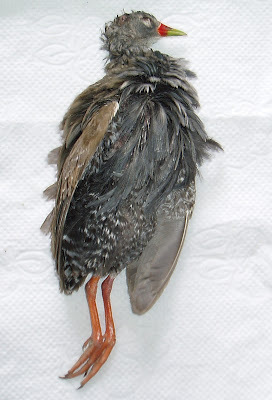 Then George Angehr also sent in photos of the specimen he wrestled from a hungry Great Egret. Notice the noticeable barring on the flanks, thighs and undertail, visible on today's batch of Rosabel photos, but NOT on yesterday's. 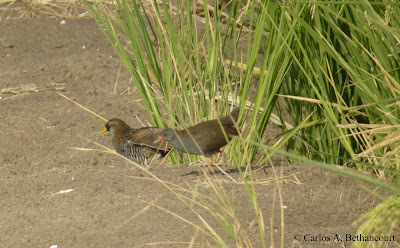 This raises the question: were there Colombian Crakes present after all? 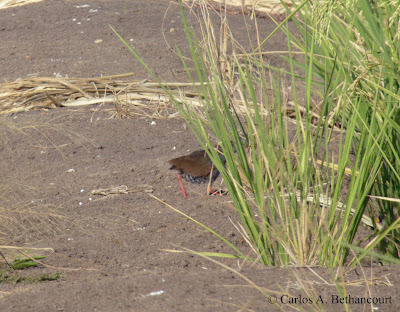 Some brave birders are again hitting Tocumen Marsh on Wednesday morning to try and find out. Stay tuned. Then Carlos Bethancourt sent in the cream of his crop of Leica photos. Notice on the photo above how the barring on the flanks is very prominent. 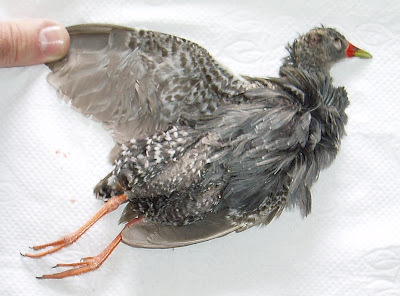 Also, the legs are brighter red than on the bird on the top two photos. 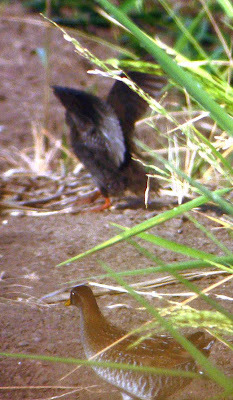 This looks more like the adult Paint-billed Crake from your average field guide. 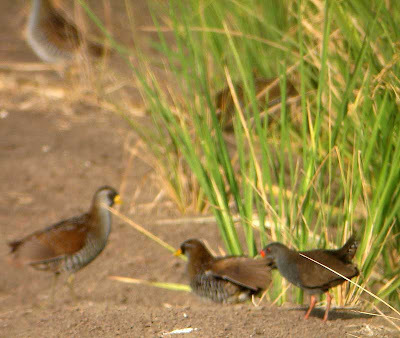 Perhaps the plain-looking birds are juveniles? 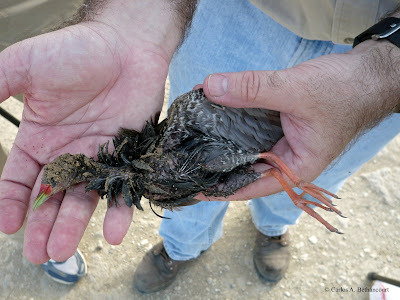 Finally, here's Carlos' photo of the dead Paint-billed, fresh out of the egret's jaws.